Welcome to We Grow By Our Dreams. I made a fun card for the Operation Write Home Memorial Day Sketch Blog Hop. 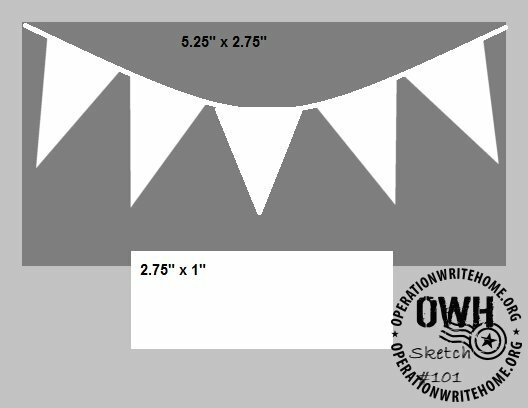 I love making buntings, especially out of vintage sheets so I was so excited when I saw OWH's sketch #101. I made my card out of lots of flowery papers that remind me of vintage sheets. Thanks again for stopping by We Grow By Our Dreams today. Check out all the other wonderful cards created using OWH sketches. Just click below. Love those buntings too! I need to try this sketch. Thanks for the inspiration. I love the cute little colorful banners you added to this card! NJ! Great banner, and love the paper you chose for it! Thanks for being part of this hop! What a sweet card! Love the bunting! Fun card! I need to make more cards from OWH! Beautiful card! Love the pretty colors and the bunting banner is fantastic :) Thanks for being a part of such a wonderful cause! Great card! I, too, will have to give this sketch a try! Thanks for Hopping with us today! God bless! Oh, how stunning your card is!!! 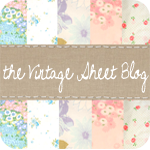 I love the vintage sheet bunting idea and had to link over and peek. Awesome!!! BTW...we used the same sketch for this hop. You have a great eye for color...love the way you used this sketch! Blessings! pretty banner....thanks to the troops. 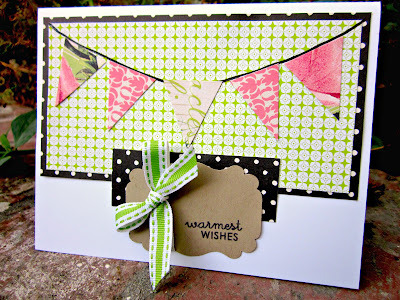 What a sweet card.. love the banner/buntings. thanks for being a part of the OWH bloghop. Happy Memorial Day. What a sweet card; TFS and supporting OWH!! Love your card. I've got to try those banners! they are so cute. Pat K.
I love the colors you chose for this beautiful card. Wonderful take on the sketch too. Oh, my! That black paper with the dots was a perfect choice to highlight the elements on your card. Love it! This is STUNNING! Love the colors! Wonderful chice of papers! I've been shying away from attempting this bunting sketch but I think you've convinced me to give it a try. Great work! Thanks for joining in the Memorial Day hop and for supporting OWH. I'm with those who've been thinking about that bunting sketch, but haven't quite given it a try. You gave me such great inspiration for it! And I love that such a really cute card was inspired by vintage sheets! Thanks for sharing! Very fun card! I love how you used the black and white and kraft colors with your pastels. It's a great color combination. Banners are rockin. Great take on the sketch. Happy Memorial Day weekend! Very pretty--I like the bunting. Love your card, the soft colors for the banners look so sweet. I'm inspired to use this sketch again. This sketch has always been a challenge for me. But, after seeing your wonderful card, I'm thinking I need to give it another try. Love the colors and papers. Nice job! Love the pennants on your card. Thanks for hoppin' with OWH. Love this sketch and your take on it! Great take on this sketch, one I used too! Your choice of papers is terrific, and does invoke some vintage fabrics. Stunning card! Love your choice of papers and colors. The splash of black is a nice touch. Very nice card and great colors too! This is a great sketch...I'll have to add it to my to do list. I love the papers you chose. Very pretty :) Great use of the sketch! You are right, you did make a fun card!! Love your choice of papers! Love those dps and ribbon. This sketch was hard for me...glad it was easy for you! TFS!!! I'm a big fan of banner cards -- and of vintage sheets!! The DSP you chose is perfect. Thanks for your participation in the hop and for your continued support of our troops. Love the paoers tou used for the pennants. Thanks for sharing. A very dainty card. I've not tried making one with banners, yet - so thanks for the inspiration! Love the banner - Great card TFS! Great great I love the colors you used TFS! 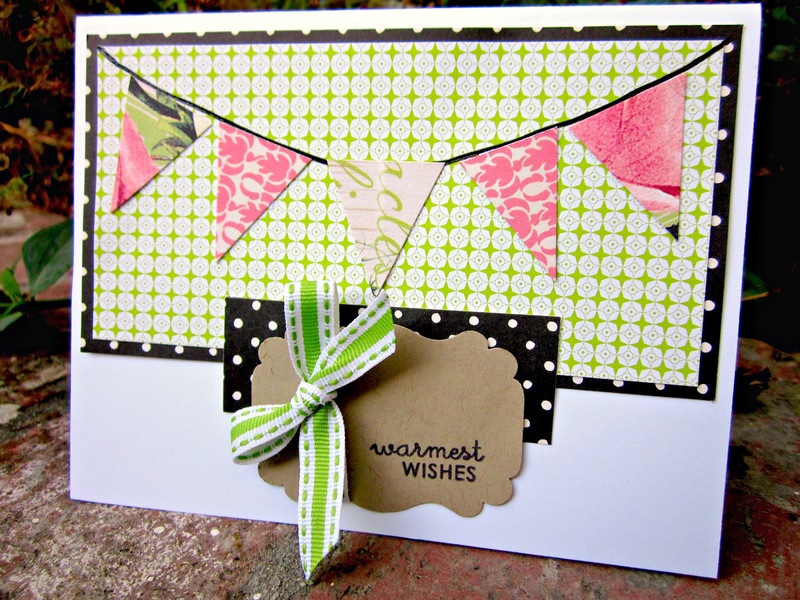 Such a cheery, fun card... nice use of the sketch with piecing papers from scraps. Must try it. Good job with this sketch. It was one that gave me fits and starts to do but you rocked it. This card is so sweet! I love the papers that you chose. They just say "Happy!" Thank you for supporting OWH and have a great weekend! My favorite sketch! I love the penants - you did an awesome job! Love the color combo, pink and green always go good together. Very nice card. Fantastic take on that sketch! Love the colors. Very sweet banner! I love your interpretation of the sketch! Very pretty card. I really like your papers and the banners. With your card, I've found one more sketch that I will definitely need to use on one of the cards I make for OWH. I love the colors that you used to make such a sweet card. Really cute card. Love the banner! The little banners are so hot right now. You did a perfect job using them based on the sketch! Love the idea of using different floral sheets for this sketch -- it is gorgeous and they do remind me of sheets drying on an outside line. LOVE your banners with the different papers. TFS and supporting OWH. Great card! Love the banner with the colorful flags! Very pretty card, Heather! I love the papers you chose! You chose a challenging sketch and rocked it! Such a pretty card!